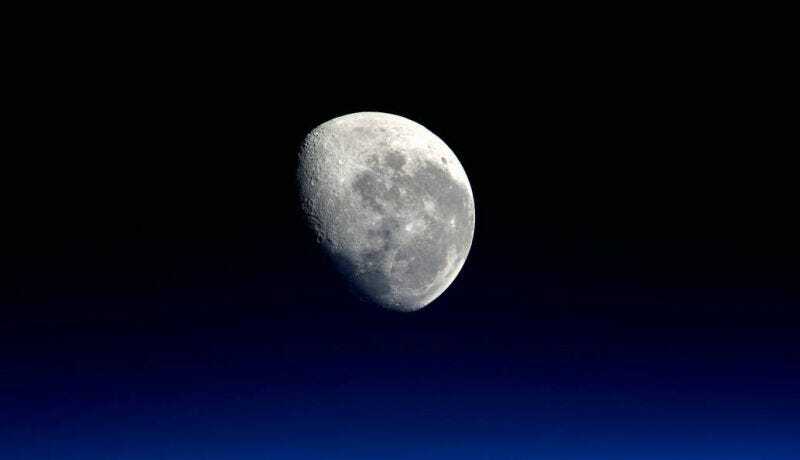 This weekend, for the several billionth or so time in Earth’s history, the Moon will be in the part of its orbit around Earth where it’s a little closer, 16,000 miles closer than usual, and it looks a teeny amount larger. By this point, this so-called “supermoon” is a fairly cliched but certainly hyped piece of science news. But honestly, you should look at the Moon. Not just today, but tomorrow, next week, next month, and next year. Look at it every night (if you can). Why not? It’s over four billion years old, it’s an incredible rock only 240 thousand or so miles away. It’s responsible for the tides and eclipses and moderating the climate. Humans literally walked on that thing. It’s deeply rooted in culture and religion, and you’ll join the billions of others who’ve looked at and appreciated the Moon all through history. You can’t look at the Sun, after all. I take that back, actually. You can look at the Sun! Remember those eclipse glasses you have from this past August that you thought you’d never use again? If they’re not fake, you can just pop them on and look right at the Sun—directly at it, in fact. You can see sunspots, darker areas on the Sun that could be responsible for solar weather, like solar flares. And as long as you’re looking at the Sun and the Moon, you can look at the stars and the planets—and even distant galaxies! You can get decent binoculars for a hundred bucks, and a pretty good telescope for less than two hundred. You can look at Saturn’s rings yourself. You can see Jupiter’s stripes. Heck, find a dark enough spot, and you can even see the spiral arms of the Pinwheel Galaxy, or nearby Andromeda’s bright center. Those crazy pictures you see on websites like this one? Yeah, you can go look at that stuff yourself. And if you don’t have a telescope, you can just look at some of it with your regular old eyes. Look at the vast Milky Way plastered across the sky and the constellations. Look at the fuzzy tails of passing comets or the bright flashes of meteors. Oh, is it cloudy out? Bummer. Well, why don’t you look at Earth then? This planet has been around for billions of years. You can pull apart its history in its rocks, in the dirt, in its plants, in the animals and in the ocean. Get a telescope. Get a microscope. Get a chemistry set. Get a metal detector. Can’t afford it? Borrow someone else’s, or go to a public showing at a local university. Build your own radio. Take apart a clock. Grow a garden. Make a volcano.